The move will benefit hundreds of children of defence personnel and others studying in the schools presently running in 're-appropriated' buildings at these locations. 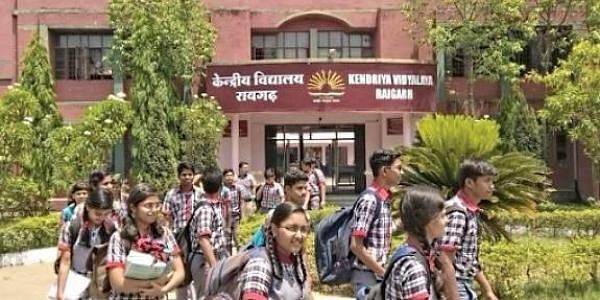 NEW DELHI: The Union Cabinet on Wednesday approved the leasing chunks of defence land to the Kendriya Vidyalaya Sangathan (KVS) in Delhi, Jalandhar and Udhampur. The move will benefit hundreds of children of defence personnel and others studying in the schools presently running in "re-appropriated" buildings at these locations. The Union Cabinet, chaired by Prime Minister Narendra Modi, approved the transfer of four acres of defence land in perpetuity basis for the construction of Kendriya Vidyalaya No.4 at Kandhar Lines, Delhi Cantonment at a nominal rent of Re 1 per annum. The Cabinet also approved transfer of 7.5 acres of defence land on lease on a perpetuity basis at a nominal rent of Re 1 per annum for the construction of Kendriya Vidyalaya No.4 in Survey No.408, Jalandhar Cantonment. It also approved transfer of 7.118 acres of defence land to KVS on lease on long-term basis for 30 years, renewable for two like terms of 30 years each, to Kendriya Vidyalaya Sangathan for construction of Kendriya Vidyalaya No. 2 at Udhampur, Jammu and Kashmir at a nominal rent of Re 1 per annum. At present, the Kendriya Vidyalayas or Central schools at all these locations have been functioning out of temporary re-appropriated buildings. In all, 3,153 students are studying in the three schools.